Walter Elias Disney was born in Chicago, Illinois on December 5, 1901. When he was four years old his parents, Elias and Flora, moved the family to a farm in Marceline, Missouri. Walt enjoyed living on the farm with his three older brothers (Herbert, Raymond, and Roy) and his younger sister (Ruth). It was in Marceline that Walt first developed a love for drawing and art. After four years in Marceline, the Disneys moved to Kansas City. Walt continued to draw and took art classes on the weekends. He even traded his drawings to the local barber for free haircuts. One summer Walt got a job working on a train. He walked back and forth on the train selling snacks and newspapers. Walt enjoyed his job on the train and would be fascinated by trains for the rest of his life. About the time Walt was entering high school, his family moved to the big city of Chicago. Walt took classes at the Chicago Art Institute and drew for the school newspaper. When he was sixteen, Walt decided he wanted to help fight in World War I. Since he was still too young to join the army, he dropped out of school and joined the Red Cross. He spent the next year driving ambulances for the Red Cross in France. 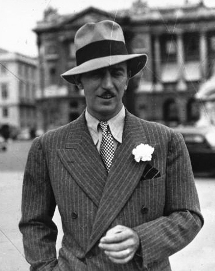 Disney returned from the war ready to begin his career as an artist. He worked at an art studio and then later at an advertising company. It was during this time that he met artist Ubbe Iwerks and learned about animation. Walt wanted to make his own animation cartoons. He started his own company called Laugh-O-Gram. He hired some of his friends including Ubbe Iwerks. They created short animated cartoons. Although the cartoons were popular, the business didn't make enough money and Walt had to declare bankruptcy. One failure was not going stop Disney, however. In 1923, he moved to Hollywood, California and opened a new business with his brother Roy called Disney Brothers' Studio. He again hired Ubbe Iwerks and number of other animators. They developed the popular character Oswald the Lucky Rabbit. The business was a success. However, Universal Studios gained control of the Oswald trademark and took all of Disney's animators except for Iwerks. Once again, Walt had to start over. This time he created a new character named Mickey Mouse. He created the first animated film to have sound. It was called Steamboat Willie and starred Mickey and Minnie Mouse. Walt performed the voices for Steamboat Willie himself. The film was a great success. Disney continued to work, creating new characters such as Donald Duck, Goofy, and Pluto. He had further success with the releases of the cartoon Silly Symphonies and the first color animated film, Flowers and Trees. In 1932, Disney decided he wanted to make a full-length animated film called Snow White. People thought he was crazy for trying to make a cartoon that long. They called the film "Disney's folly." However, Disney was sure the film would be a success. It took five years to complete the film which was finally released in 1937. The film was a huge box office success becoming the top film of 1938. Disney used the money from Snow White to build a movie studio and to produce more animated movies including Pinocchio, Fantasia, Dumbo, Bambi, Alice in Wonderland, and Peter Pan. During World War II, Disney's movie production slowed down as he worked on training and propaganda films for the U.S. government. After the war, Disney began to produce live action films in addition to animated films. His first big live action film was Treasure Island. In the 1950's, the new technology of television was taking off. Disney wanted to be a part of television as well. Early Disney television shows included Disney's Wonderful World of Color, the Davy Crockett series, and the Mickey Mouse Club. 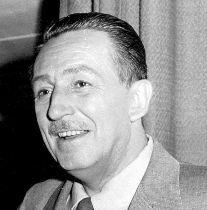 Always coming up with new ideas, Disney had the idea to create a theme park with rides and entertainment based on his movies. Disneyland opened in 1955. It cost $17 million to build. The park was a huge success and is still one of the most popular vacation destinations in the world. Disney would later have the idea to build an even larger park in Florida called Walt Disney World. He worked on the plans, but died before the park opened in 1971. Disney died on December 15, 1966 from lung cancer. His legacy lives on to this day. His movies and theme parks are still enjoyed by millions of people each year. His company continues to produce wonderful movies and entertainment every year. Tom Hanks played the role of Walt Disney in the 2013 movie Saving Mr. Banks. The original name for Mickey Mouse was Mortimer, but his wife didn't like the name and suggested Mickey. He won 22 Academy Awards and received 59 nominations. His last written words were "Kurt Russell." No one, not even Kurt Russell, knows why he wrote this. He was married to Lillian Bounds in 1925. They had a daughter, Diane, in 1933 and later adopted another daughter, Sharon. The robot from Wall-E was named after Walter Elias Disney. The sorcerer from Fantasia is named "Yen Sid", or "Disney" spelled backwards.